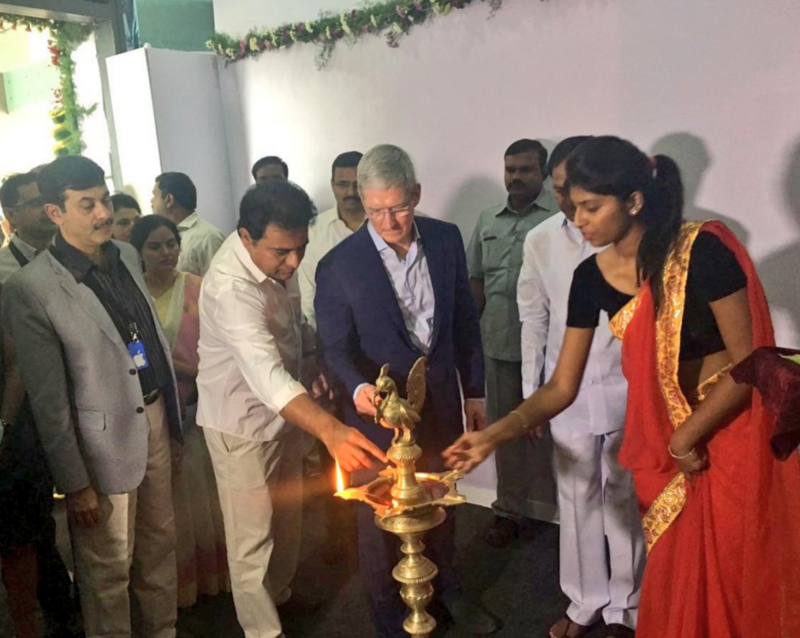 After Google, Amazon and Uber, Apple has become the latest multinational company to open an office in Hyderabad. The office will will focus on developing Maps for iPhones, iPads, Mac and Apple Watch. The move is expected to create up to 4,000 jobs, the technology giant said Thursday. “Apple is focused on making the best products and services in the world and we are thrilled to open this new office in Hyderabad which will focus on Maps development,” Apple CEO Tim Cook said. He was in Hyderabad to inaugurate the office along with minister KTR. “The talent here in the local area is incredible and we are looking forward to expanding our relationships and introducing more universities and partners to our platforms as we scale our operations,” Cook added. The new facility, located in Tishman Speyer’s Waverock campus, and spread over 2.5 lakh sq ft, will provide a world-class, LEED-certified home for the expanding Maps team. While Applie didn’t specify the direct investment into this project, earlier reports had suggested the amount to be $25 million (Rs 170 crore). “We are honored Apple chose Hyderabad as a home for its Maps development office,” said Telangana Chief Minister Kalvakuntla Chandrashekar Rao. “This will create thousands of jobs here and is a testament to our proactive approach, quality infrastructure and the excellent talent base we have in the region,” he added.